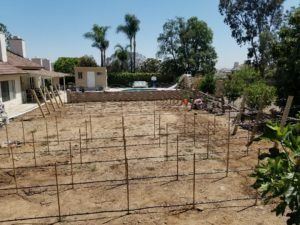 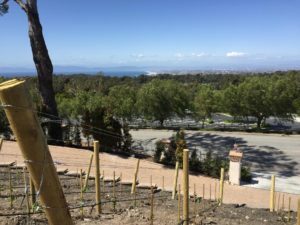 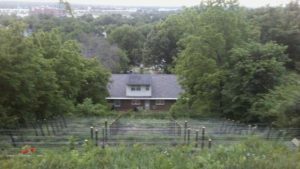 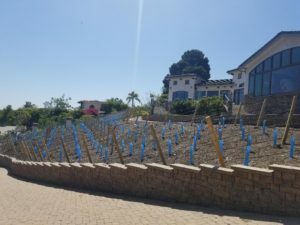 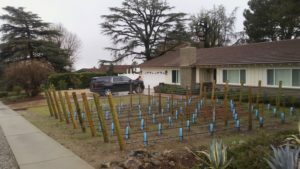 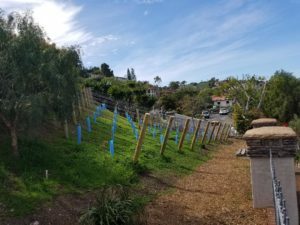 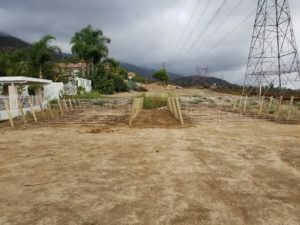 You are viewing a Vineyard Estate located in Rancho Palos Verdes, CA. 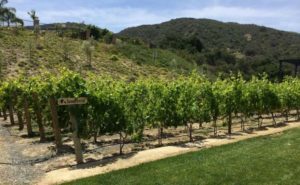 This Vineyard is contoured to encircle the hillside with a tapering trellis, producing Cabernet Sauvignon and Chardonnay fruits. 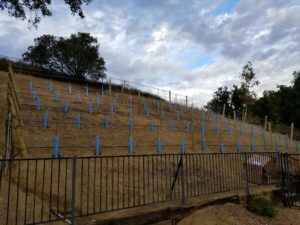 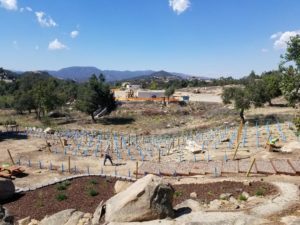 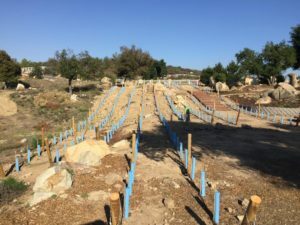 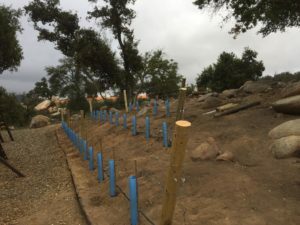 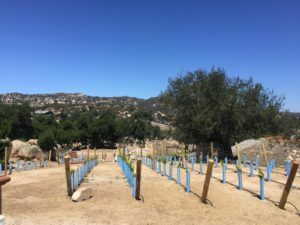 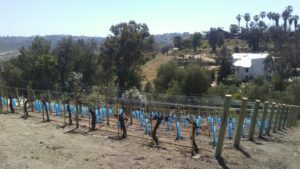 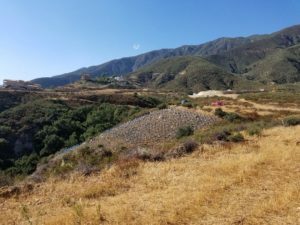 This Vineyard, planted with 60 Cabernet Sauvignon vines, is located in the historic grape growing foothills of Rancho Cucamonga. 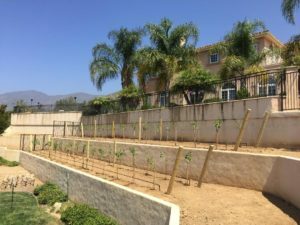 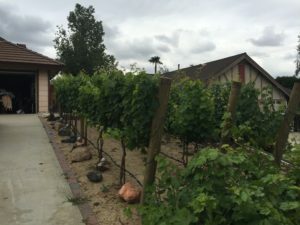 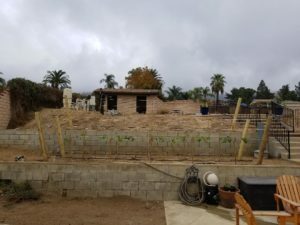 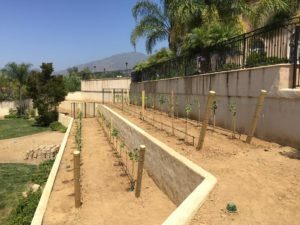 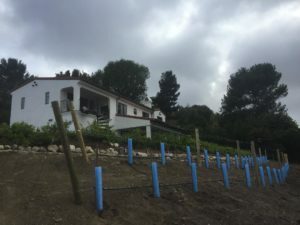 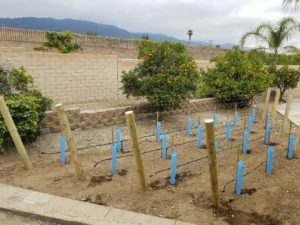 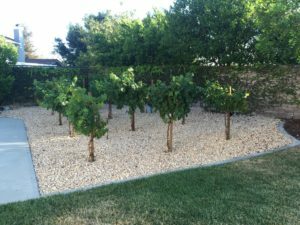 This vineyard is showcased in the front yard of a home in Rancho Cucamonga, providing a feeling of elegant rustic charm reminiscent of the golden age of grape growing in the Cucamonga Valley. 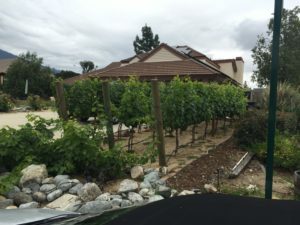 The vines pictured here are in their third year of growth, each vine producing upwards of 7 pounds of fruit. 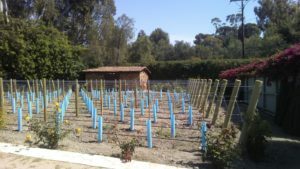 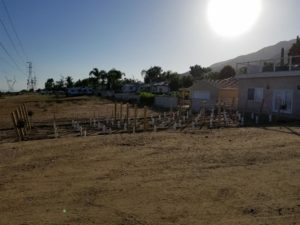 These vineyards are planted together by two neighbors, each one producing different varietals, to be shared between the two once the wine has been made. 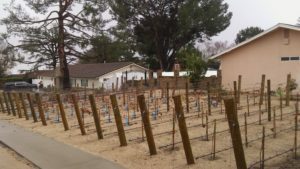 These vineyards showcase the sense of community forged by the grape growing culture. 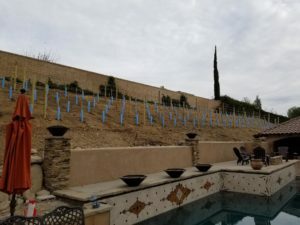 This is a large 350 vine estate covering a quarter acre in the hills above Temecula planted recently this year in May of 2018. 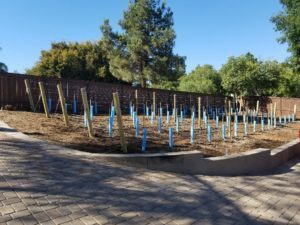 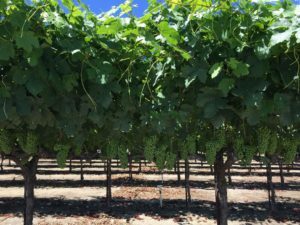 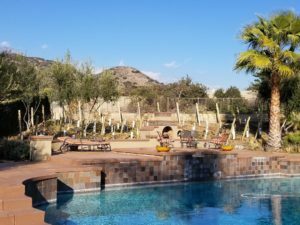 This region is perfectly suited for growing the Cabernet Sauvignon and Cabernet Franc varietals, having a balance of dry heat during the day and cool summer nights. 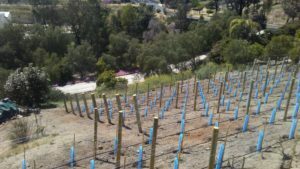 Here’s a selection of our most recent vineyards from the spring of 2018.